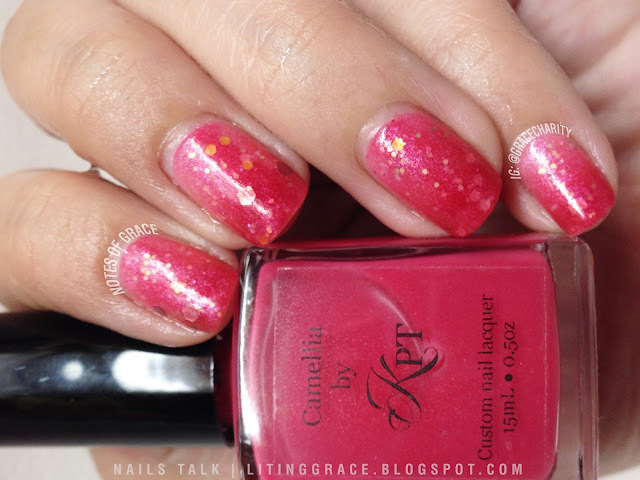 Last October, Susan from The Subtle Shimmer and a couple of ladies started #PolishUsPink where pink nails were donned in support of breast cancer awareness. Since it's October again, Susan has initiated another round of Polish Us Pink. I've been looking forward to participating in this year's Polish Us Pink. However, my life had other plans for me, today's the only day that I've managed to wear something pink to show my support for this cause. 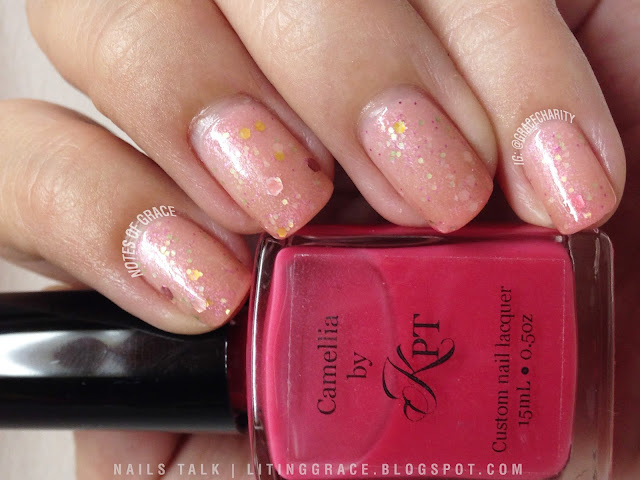 For my set of pink mani, I decided to wear a jelly sandwich using Polished by KPT Camellia and Rainbow Honey A Little Kindness. 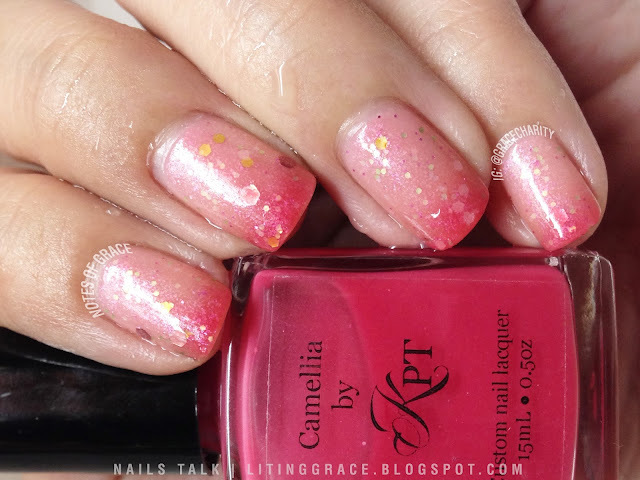 Camellia is jelly thermal polish that changes from a sheer pink (when warm) to a vibrant pink (when cold). It's really sheer, so you might need three or four coats on its own or you can choose to layer it over a base color. The photos show a coat of A Little Kindness between two thick coats of Camellia. Here's how it looks when it's cold, a gorgeous vibrant pink and I like how the glitters added a different dimension to the look. And here's how it look during transition state and it's my favorite! This is why I love thermal polishes; I can have gradient mani with only one bottle of polish. This is how my nails look like most of the time given the warm weather in sunny Singapore. So there you go, my pink nails for Polish Us Pink. With October coming to an end real soon, I'm not sure if I will have the time for another set of pink nails, but I'm keeping fingers that I will find time these two days to for another set. To see what the other ladies are wearing or have worn, do check out #PolishUsPink and #bcamani2013 on Instagram. You can also support the cause by painting your nails and tagging your photos using the two hash tags.